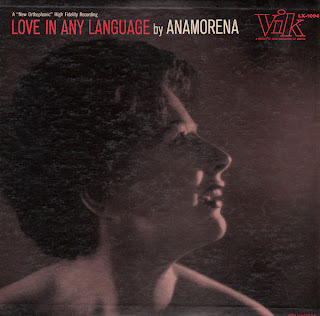 From the back cover: Anamorena is such a singer of songs. Even as a child in her native Argentina, where the exotic, ancient mysteries of the Andes were her fairy tales, she was attracted to words and sounds with a poetic adoration. Sessions conducted by Marty Gold, Russ Case and Sid Bass. Anamorena switches between English, French, German, Spanish and Italian in her unusual soft almost spoken word approach. This is her "first recording". I can find no other online information on the artist. This is an odd LP that tries to be a more consumable period torch album. A curious side note. The album jacket opens on the left hand side (the opposite side from normal) and when you flip the album over to read the notes (as you would normally)... the copy is totally upside down. Hanna-Barbera apparently "introduced" Tracy to the record buying public on this set. From a 1964 Sarasota Herald-Tribune article: Unlike most harpists, Miss Tracy doesn't concentrate on classical music. She prefers jazz. "But it's not progressive jazz," she said. "It's music that people can understand. 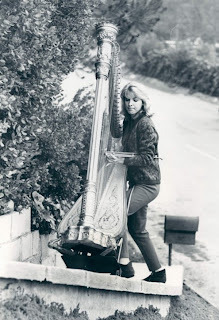 I'm trying to bring the harp down to where people can understand it." 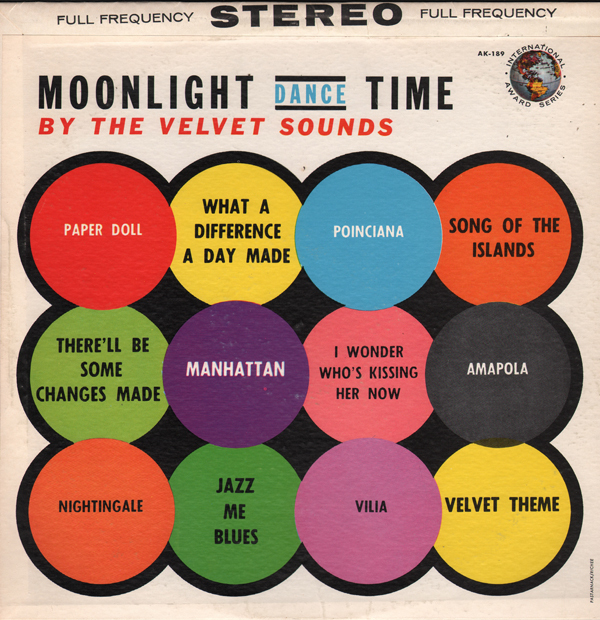 Excellent early 60s light pop/jazz. Budget studio release featuring a colorful cover. The record may also have been released on Crown. The tracks are being sold online under the Crown label by a company that seems to have digitized the entire Crown catalog even if the pressing was creatively mediocre when originally released. 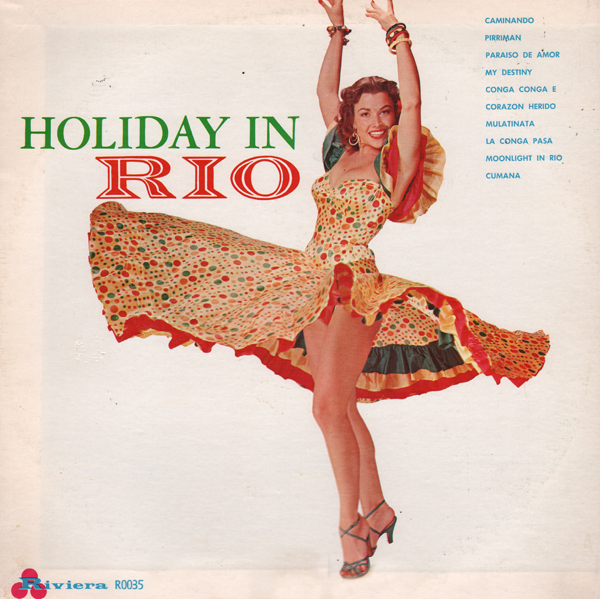 The music on this album is small combo lounge Latin that, for the most part, doesn't match the cover model's sparkle. 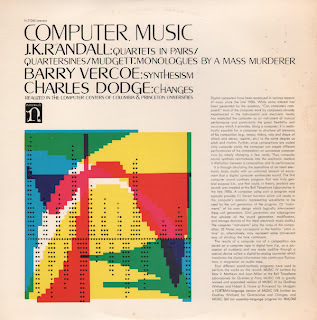 From the back cover: Four different sound-synthesis programs were used to perform the works on this record: MUSIC IV (written by Max V. Mathews and Joan Miller at the Bell Telephone Laboratories) for Quartets in Pairs; MUSIC IVB (a greatly revised and expanded version of MUSIC IV) by Godfrey Winham and Hurbert S. Howe at Princeton) for Mudgett; a Fortran-language version of MUSIC IVB (written Godfrey Winham) for Quartensines and Changes; and MUSIC 360 (an assembly-language program for IBM/360 computers written by Barry Vercoe) for Synthesism. All of the works used a digital-to-analog converter at the Bell Telephone Laboratories, and all were computed at the Princeton Computer Center with the exception of Changes, which made use of the Columbia Computer Center as well. The vocal parts for Medgett were recorded at the Hebert H. Hagens studio in Princeton. Budget label album sporting a pretty dull cover. Surprisingly, you'll music that has a "The Three Suns" vibe to it. 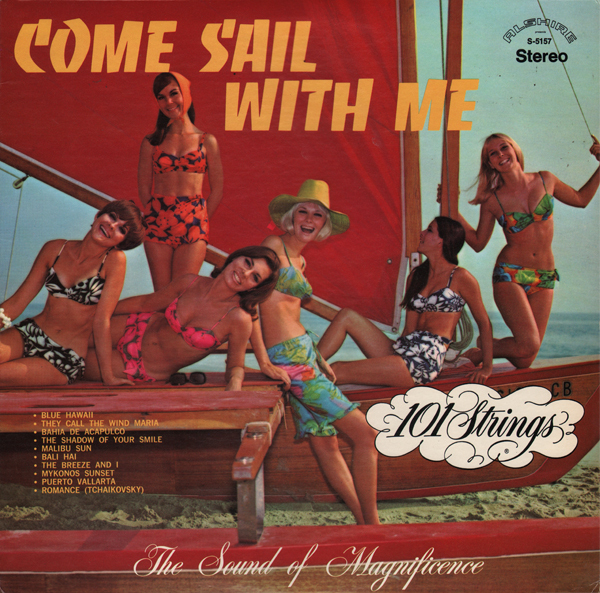 I've featured the sample track before (101 Strings - Guitars Galore), but the tune is a great light pop track and the best off this album. 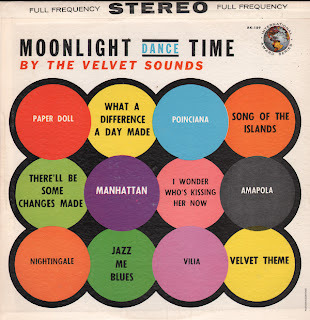 That's not to say the remaining tracks aren't fun easy/light pop fare. The LP plays through nicely.